I was in Toronto this month and came across a delicious food called poutine. 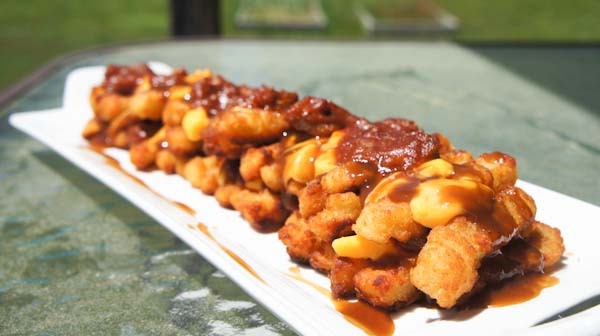 I was completely clueless about poutine and that left me puzzled since I’m Canada’s neighbor. 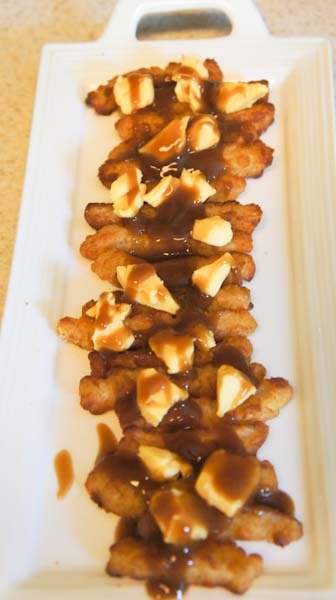 How could something like poutine escape my notice? It must be a pretty large rock I’m living under. I’m still confuzzled on how I’ve missed something so tasty. In my defense, I don’t travel into Canada very often. 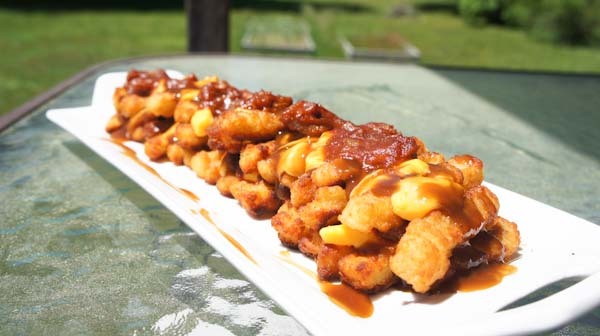 Although, after discovering poutine I’m wondering what other yummy foods I’m missing out on. 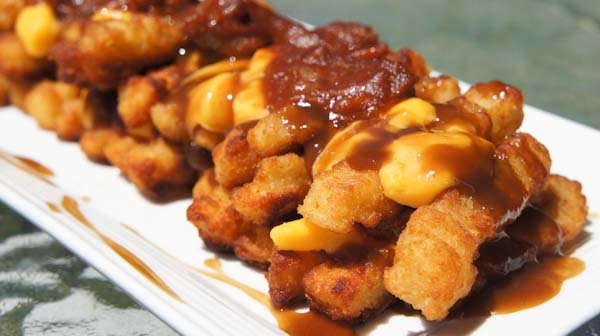 For those that have no idea what I’m talking about poutine, in its most basic form, is french fries with cheese curds and brown gravy. They can, however, be served with other toppings. I like topping them with bbq pork, but I bet bacon would be tasty as well. Y’all know thats not the only things I picked up. Its like the law of Walmart. You always exit with more than you intended to buy. Back at home I made poutine for the very first time. It was so easy. I kind of wish it would have been terribly time-consuming so I would never want to make it again. 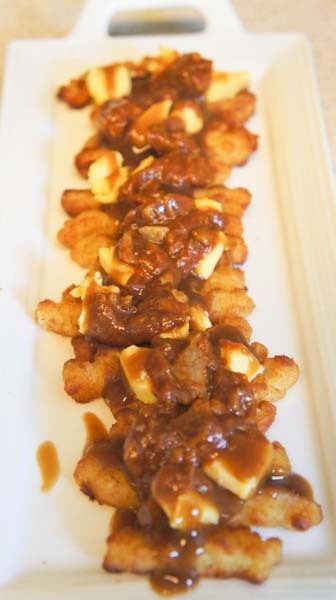 Poutine is definitely NOT diet friendly, but it’s so good its worth indulging in the extra calories. Bake french fries according to package directions. 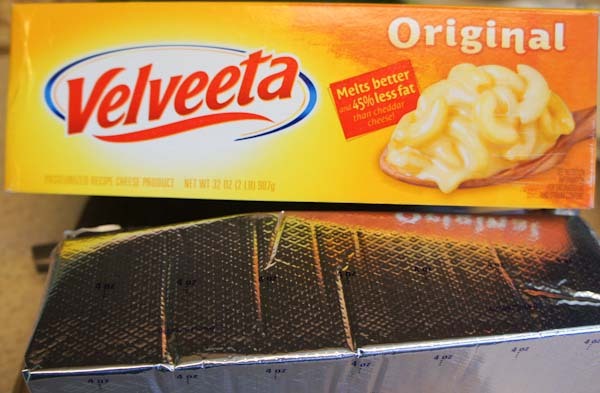 While french fries are baking cut Velveeta into bite size chunks, heat gravy and bbq pork according to package directions. 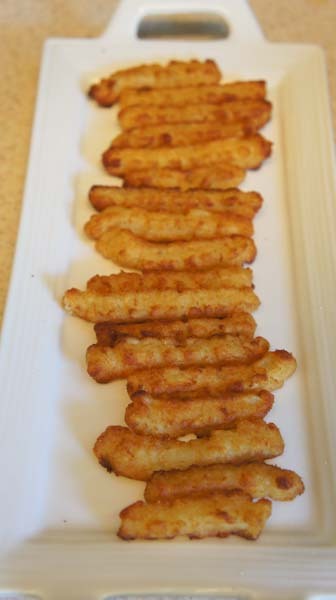 Place a layer of fries on an oven safe plate. Repeat. Place back in 300 degree oven for just a couple of minutes to melt the cheese. Remove from oven and enjoy. Facebook page: www.facebook.com/velveeta This is a great page, including a quiz to learn if someone in your life is a liquid gold digger. That looks quite delicious! And so easy too! I love how easy it is! My husband would love this! Yum – this looks fantastic! Those look amazing and delicious! I want some! 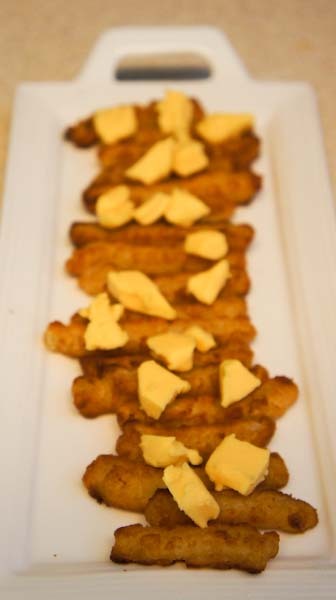 This looks like a great party appetizer. Or just a relaxing day at the pool:) Enjoy Life because it’s short!!! Oh my! I have never heard of that either, but want to try it now! 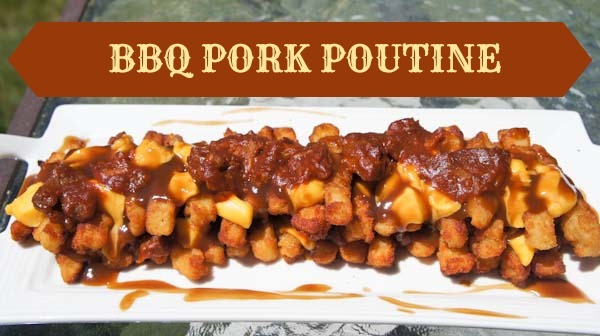 I’ve never heard of BBQ Pork Poutine but now I’ve GOT to try it! Layer in the order listed, saving gravy for last. Place dish under broiler to melt the cheese. Top with hot gravy and serve! So good in the middle of the night, anytime really! Oh, THAT sounds good! Thanks for sharing.